To support the mathematical modelling of the thermal control some real-world data are needed for the heat conductance between a printed ciruit board and its mounting screws. 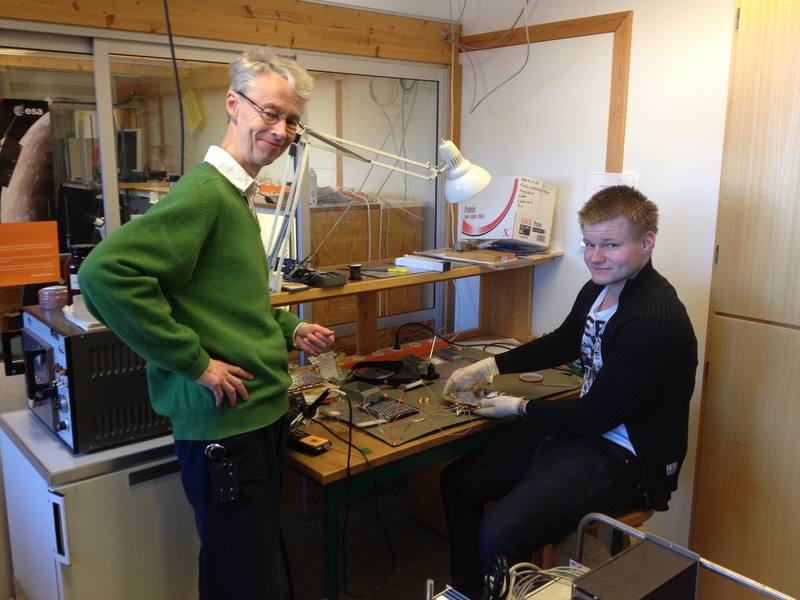 MSc student Andreas Berggren (right) is preparing the vacuum test specimen together with his supervisor Lars Bylander of the Space and Plasma Physics Group. 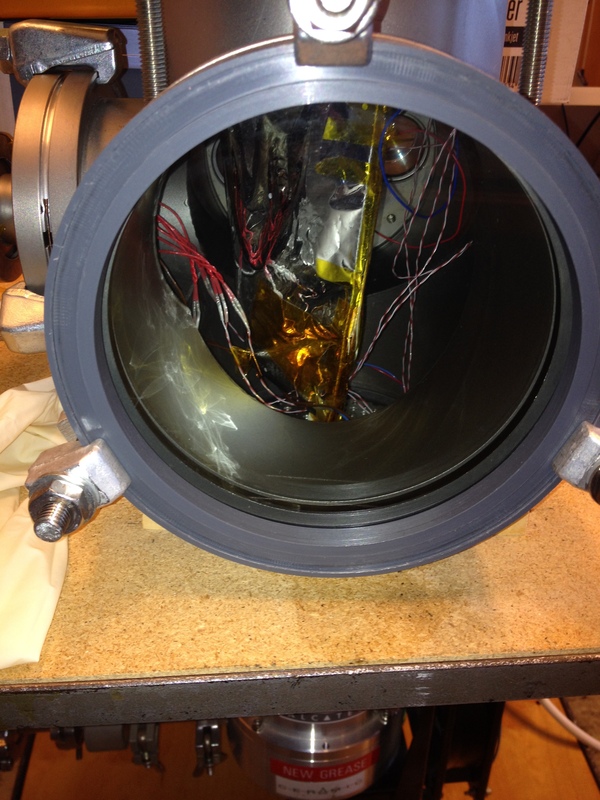 And here is the test specimen in the vacuum tank ready for pumping down the pressure.